Crumbs café is open to the public as well as staff and students of Barnsley College. 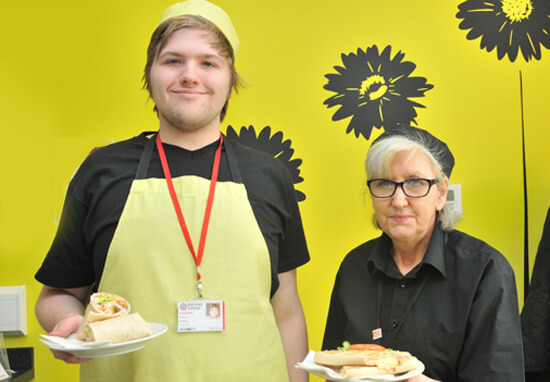 Crumbs Café at Barnsley College is a training environment that provides work experience and offers students opportunities to gain and practice valuable employability skills in a supported environment. Our students are studying in the department of Learning for Living and Work, preparing them for adult life by giving them the skills they need for independent living. All our food is freshly prepared and can be made to order to eat in or take away. You can ring us to place your order for collection if you’re in a hurry. We also have specials and seasonal offers too, please see the specials board inside Crumbs Café for details.